We’d love your help. Let us know what’s wrong with this preview of A Dangerous Crossing by Rachel Rhys. To ask other readers questions about A Dangerous Crossing, please sign up. Did anyone guess the truth about Edward? This answer contains spoilers… (view spoiler)[ I did. I normally don't guess those things IRL, but in this book I did. I guessed who Edward was, who he really loved and why he had been…more I did. I normally don't guess those things IRL, but in this book I did. I guessed who Edward was, who he really loved and why he had been institutionalized. I did not guess who the arrested woman at the beginning of the book was. I kept suspecting one and then another. I have recently watched The Imitation Game so the theme was on my mind. I loved them both: book and movie. I cannot find this book for sale/delivery now on Amazon? If you read and reviewed it was it pre-release? Is there a release date? Tammy I borrowed it from the Library. Had to wait a bit to get it as it is fairly new. This feels very much like a classic golden age mystery where instead of the usual setting of a country house, we have a cruise ship, the Orantes. It is 1939, Lily Shepard is travelling to Australia on a government assisted passage to meet the need for domestic servants in Sydney. Whilst it is clear that she is excited and looking forward to adventure and seeing other countries, there is something amiss, something she is running away from. Infiltrating the novel is the background to and run up to This feels very much like a classic golden age mystery where instead of the usual setting of a country house, we have a cruise ship, the Orantes. It is 1939, Lily Shepard is travelling to Australia on a government assisted passage to meet the need for domestic servants in Sydney. Whilst it is clear that she is excited and looking forward to adventure and seeing other countries, there is something amiss, something she is running away from. Infiltrating the novel is the background to and run up to the second world war, the fears this gives rise to and the growing tide of Jewish refugees in Europe. Lily is travelling tourist class, with Mrs Collins who is a chaperone for girls like her, Audrey and Ida. The book begins with the ship docking in Sydney and a female passenger disembarking, handcuffed to police. The ship provides a forum for the social classes to intermingle in a manner that would be otherwise inappropriate on land. Lily has little interest in the girls from similar backgrounds to her. Instead she is dazzled by the likes of brother and sister Edward and Helena Fletcher, and the scandal ridden couple from first class, Eliza and Max Campbell. There are black tie balls, trips to the Egyptian Pyramids, and exotic Sri Lankan markets. Lily begins to harbour romantic notions with respect to Edward, although his feelings for her seem to be considerably more volatile. There are a number of Jews on board, including Maria Katz who fled Vienna and anxious about what may have happened to her family since she left. There is George Price with his fascist leanings, violent and prone to thuggish behaviour. The atmosphere on board becomes febrile as a swirling maelstrom of emotions come into play, and secrets tumble out. Two passengers will be dead before the ship arrives in Sydney as war is declared in Europe. 3.5*. A Dangerous Crossing is very much like a play and a character driven story. The author, Rachel Rhys, introduces numerous individuals as they travel together on the ship Orontes bound for Australia from Great Britain during 1939. As the passengers have their meals, walk the decks, attend the ships parties, they all begin to expose their true selves. Some quite outspoken, crass, hard-hearted, a certain shyness, along with flirtations desired and repelled. The main character, Lily Shepherd ap 3.5*. A Dangerous Crossing is very much like a play and a character driven story. The author, Rachel Rhys, introduces numerous individuals as they travel together on the ship Orontes bound for Australia from Great Britain during 1939. As the passengers have their meals, walk the decks, attend the ships parties, they all begin to expose their true selves. Some quite outspoken, crass, hard-hearted, a certain shyness, along with flirtations desired and repelled. The main character, Lily Shepherd appears innocent, ready for a new life from her parents home and older brother. Most of the women travelling will go into domestic service for a two year period before returning to their former lives, however, Lily is not looking forward to being a household maid and yearns for something better. When the ship finally docks in Sydney, there is one lone figure being escorted off the ship in shackles, feeling quite isolated and exposed, with any dreams now shattered and scattered to the wind. Somewhat slow at the beginning until the characters take root, A Dangerous Crossing becomes an engaging and absorbing book. Dangerous Crossing was a good idea which to me went awry. In her afterword, Rhys says that she found a diary in her mother's house written by her mother's friends about a five week boat journey in 1938 from England to Australia. At the time, Britain had an an agreement with Australia to send young women to Australia to fill positions for domestic servants. Rhys' mother's friend was one of the recruits and her diary records her experience on the boat going over. As seen by Rhys, this was is a soc Dangerous Crossing was a good idea which to me went awry. In her afterword, Rhys says that she found a diary in her mother's house written by her mother's friends about a five week boat journey in 1938 from England to Australia. At the time, Britain had an an agreement with Australia to send young women to Australia to fill positions for domestic servants. Rhys' mother's friend was one of the recruits and her diary records her experience on the boat going over. As seen by Rhys, this was is a social microcosm in which many of the socioeconomic and political tensions of the time were replicated and amplified. This seemed like a great setting for a mystery or sorts. I agree, but I didn't love the delivery. Lilly Shepherd is the heroine of Dangerous Crossing, and she gets caught up in a number of different friendships and romantic tensions on her journey to Australia in 1939. She becomes friends with a young Jewish woman, who is treated with suspicion and disdain by some of the other passengers. She becomes friends with a wealthy couple, who seem glamorous but are both emotionally fraught and unstable. She is attracted to a young law student traveling with his sister, who gives her mixed signals and seems to be escaping some dark secret. Lilly has secrets of her own. It could have actually been a really good read, and there were parts I liked, but at times the delivery was a bit dull and the denouement felt oddly over the top. I'd hoped for a light entertaining read, but it ended up being a bit of a slog. I don’t think it is any surprise to anyone that Rachel Rhys is in fact the alter ego of Tammy Cohen – an extraordinary writer of psychological thrillers – who has now confirmed her writing distinction by giving us a gorgeous, authentic historical drama, still with a hint of mystery, but mostly a brilliantly done retrospective of a time gone by. Taking apart the social divides of the day, throwing her characters into a melting pot of class and culture division and allowing them all to simmer, A Dangerous Crossing will steal your heart, as will Lily the girl at the centre of the storm. The world was about to enter a period of utter madness back then (as it appears to be doing right now) and the sense of that is captured perfectly – whilst still not losing sight of the fact that people were still people, human nature is both a wonderful and an awful thing, on the ship with Lily are a whole bunch of people whose biggest problems and worries are little to do with the wider world. It is so cleverly plotted, so engaging that you will, like me, likely fall right into it. Sublime writing and descriptive sense will put you right in the middle of proceedings, you’ll go through a range of feelings as you are reading, the end is KILLER on the emotions and this is one of those books you come out the other side of feeling vaguely displaced. I felt pretty much like I had BEEN at sea, took me a while to regain my land legs and honestly I just wanted to go back in. A simply wonderful reading experience. This is the moment I try and sum things up in one easy sentence to finish off the review. How about this. A voyage of a life time for Lily? Did it turn out that way? Lily was leaving England and heading to Australia in order to secure work as a domestic, which she vowed she never wanted to do again. The ship was huge, exciting, filled with many classes of passengers, and always danger in the air. There were a lot of festivities Lily enjoyed. She also enjoyed a handful of the passengers but some were not pleasant. There always has to be someone to ruin the day or event, right? Lily never knew who she could really befriend, but she gave it a try. She kept thinking are people always who they seem to be? She knew Ida wasn't going to be someone she would want to be friends with. Ida was too negative and critical. Eliza and Max were a bit on the sneaky side if you ask me even though they were very friendly. George was always grumpy and mean and only wanted to talk about the war that was imminent. Edward was attentive, but was he really sincere? Helena seemed to be a good person. Maria seemed sincere, and shared the love of books with Lily. Her comment seemed to sum up most of the passengers on the ship...everyone seems to be running away from something. Running away did seem a common theme for the passengers, but Lily couldn't figure out what they were running from, but she knew what she was running from. DANGEROUS CROSSING had me hooked from the opening sentence. Knowing something was going to happen on the ship that had someone arrested when they docked, kept the mystery and intrigue high as you waited for the event to happen. There seemed to be a hint of something not right even though the ship was filled with seemingly happy passengers. DANGEROUS CROSSING was a study of people, their secrets, their lives, and their observations. I love this era, the clothes, and the must-be-proper etiquette. Ms. Rhys' marvelous writing and the pull-you-in story line made the book difficult to put down. Historical fiction fans as well as mystery lovers definitely will want to read DANGEROUS CROSSING. 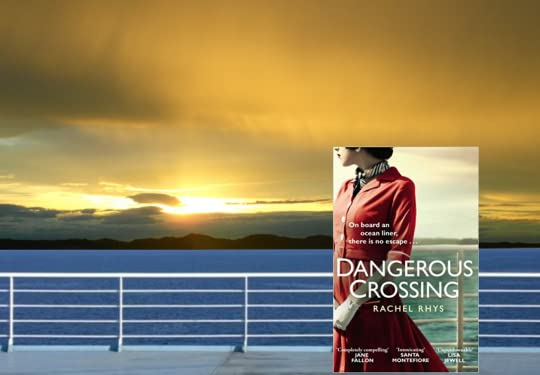 "A Dangerous Crossing" written by Rachel Rhys is a well written, easy to read historical fiction book set on a ship travelling to Australia in 1939, that you can't help falling in love with. I truly felt that I knew all the characters personally since they were portrayed with such clarity and description. The places they visited on the journey were so vibrantly described you would have thought you were there. I particularly liked young Lily, travelling to Australia on an assisted passage - she is "A Dangerous Crossing" written by Rachel Rhys is a well written, easy to read historical fiction book set on a ship travelling to Australia in 1939, that you can't help falling in love with. I truly felt that I knew all the characters personally since they were portrayed with such clarity and description. The places they visited on the journey were so vibrantly described you would have thought you were there. I particularly liked young Lily, travelling to Australia on an assisted passage - she is naive in life compared to some of the other passengers but is still astute enough to see other people for what they are whilst harbouring secrets from her own recent past. Firstly, I absolutely love the cover of this book, and if I’m honest, I was initially lured in by the cover, followed by famous reviews referring to this book as being thrilling and similar to Daphne du Maurier. I have to say that I didn’t find this book thrilling. I’ve only read two Daphne du Maurier books, but I loved them and didn’t experience any particular similarity with those. I fear I may have fallen for the hype, and in turn ended up a little disappointed, as my own personal experience Firstly, I absolutely love the cover of this book, and if I’m honest, I was initially lured in by the cover, followed by famous reviews referring to this book as being thrilling and similar to Daphne du Maurier. I have to say that I didn’t find this book thrilling. I’ve only read two Daphne du Maurier books, but I loved them and didn’t experience any particular similarity with those. I fear I may have fallen for the hype, and in turn ended up a little disappointed, as my own personal experience of this book wasn’t the same as the majority of those who have read it so far. This has happened before, and I dare say it won’t be the last. I have short-term memory problems, so I did struggle with the number of characters that were introduced early on, having to make a written list with descriptions of who was who, so I didn’t get too confused as the story progressed. A Dangerous Crossing had a drama feel to it. Quite slow moving with lots of conversations and character interaction. This story raised issues like different classes and religions, particularly the Jewish, considering the time period this story is set in. A couple of the secrets the characters were hiding were quite interesting, and those are the parts of the story I found myself more interested in. I also loved the part about the pyramids in Egypt, as I’ve seen the pyramids twice, back in 1996 and 1998, so the memories came flooding back. I remember feeling breathless inside a pyramid, and remember the panic when there was a power cut while we were in the burial chamber. There were a few screams, although not from me, which is rather surprising. Overall, I quite enjoyed this book, it just wasn’t quite what I was expecting. If I had managed to connect with the characters more, perhaps I would have become more absorbed by the story, but for some reason I just couldn’t fully connect with them, although I did warm to Lily. I have read four other books by this author under two different names, and loved three out of those four, so I know I normally like this author’s writing style and creation of good characters. I guess this one just wasn’t quite right for me or the mood I was in while reading it. Set on a cruise liner, the ‘Orontes’ in 1939, just before the outbreak of WW2, A Dangerous Crossing follows young Lily Shepherd as she travels on her own (albeit under the guidance of a chaperone) to a new life in Australia. She is on an assisted passage scheme, paid for by the Government to encourage people to settle in Australia. She is expecting to find domestic work there but also hopes to leave tragedy and heartbreak behind her, the details of which become clear. There are a myriad of fellow Set on a cruise liner, the ‘Orontes’ in 1939, just before the outbreak of WW2, A Dangerous Crossing follows young Lily Shepherd as she travels on her own (albeit under the guidance of a chaperone) to a new life in Australia. She is on an assisted passage scheme, paid for by the Government to encourage people to settle in Australia. She is expecting to find domestic work there but also hopes to leave tragedy and heartbreak behind her, the details of which become clear. There are a myriad of fellow passengers that she encounters – some pleasant, others hateful but many of them seem to be running away from secrets or scandal and in some cases themselves – brother and sister Helena and Edward Fletcher; wealthy couple Max and Eliza Campbell. A Jewish woman, Maria who was anxiously waiting for news of her family left behind in Poland and facing possible incarceration in the concentration camps; the bitter and mean minded Ida, who unfortunately Lily has to share a cabin with. Although we know from the very beginning that someone has been arrested and led from the ship in handcuffs once it has docked in Sydney, this is not a fast paced read. Just like the 5 weeks it takes to get from Tilbury to Australia, this story is more of a journey. A character study of people with different backgrounds all thrown together and living in their own bubble whilst in the confines of the claustrophobic atmosphere of the ship. People whose social status was such that they would not normally mix with the likes of Lily. As soon as I saw the cover of this book I wanted to read it. It has a wonderful Art Deco/Agatha Christie look about it. Also I love cruise ships and stories set on cruise ships so for me this was a win win! The author, Rachel Rhys, is the pseudonym of a thriller writer that I am a huge fan of so that I knew I that I would be in safe hands. (It’s now no secret that the thriller writer is the respected Tammy Cohen). It’s a complete departure from her usual novels but I loved it and completely immersed myself in the time spent on board and on land with Lily and her fellow passengers. The long days of life onboard and the descriptive prose of time spent ashore makes for a captivating read. You really get a feel for the decadence and glamour enjoyed by the first class passengers, and a comparison with that of the facilities available for the less wealthy passengers. Lily is still young enough to have her head turned by attention from those in the upper social classes and doesn’t always have the foresight to see that she is being used. Not completely sure of her place, she often comes across as naive and gullible but she mostly has a good heart, although there was one part of the story when I was really disappointed with her although to be fair, I think Lily was just as disappointed in herself. [quote]“It’s not that I don’t like them. I just think they’re damaged. And damaged people are dangerous people”. Reading A Dangerous Crossing is rather like watching an accident in slow motion. You are just waiting for the impact and the feeling of foreboding intensifies as the story proceeds but you are powerless to intervene and can only watch and gasp at the events unfolding before you. As a fan of historical fiction, A Dangerous Crossing really hit the spot for me – the clearly well researched and authentic detail, the sense of unease emanating from the behaviour of the characters, wondering what secrets some of them were hiding and, towards the end, the tension of watching people implode and show their true colours. All this is set against the backdrop of the threat of war. I don’t think I have ever felt so “tongue tied” going into a review before, I don’t feel that MY words will be able to do justice to A Dangerous Crossing which is one of the most beautifully written books I have read this year. It’s words just poured themselves all over me so that every one of my senses was stimulated. I could feel the warmth of the sun on my skin, the wind in my hair and taste the salt that wind blew in my face as if I were standing against the deck railings. I could smell the I don’t think I have ever felt so “tongue tied” going into a review before, I don’t feel that MY words will be able to do justice to A Dangerous Crossing which is one of the most beautifully written books I have read this year. It’s words just poured themselves all over me so that every one of my senses was stimulated. I could feel the warmth of the sun on my skin, the wind in my hair and taste the salt that wind blew in my face as if I were standing against the deck railings. I could smell the spices in the markets and hear the noisy crowds as they surrounded the travellers on the trips ashore. I could see all the passengers and the areas of the ship, such as the cabins and the dining rooms, in my mind as clearly as if I were there standing alongside them. And all of these sensations were conjured up by a narrative that was so intensely gratifying that I didn’t just read this book, I experienced it! To start with, that cover is simply stunning and encourages readers inside with the promise of an Agatha Christie style murder mystery. Those expecting a straight forward whodunit with a cast of possible suspects could possibly be disappointed as that’s not where this book sits within its genre. Yes, we understand from the prologue that two people are dead and that the police have arrested someone from the ship, but it’s the build up to the shocking events that take place on board The Orontes which makes this magnificent character driven drama the rich and powerful story that it is. We are making the same voyage of discovery alongside the passengers, journeying together towards an unknown conclusion. There is so much to take in that don’t expect a quick and easy read. The lavishly described scenes will have you taking your time, never dropping a word so that you get to appreciate all the passengers taking this one way trip to Australia. Most have had their passage paid and are off to start new lives, but the First Class passengers have different agendas and when Lily becomes involved with Max and Eliza Campbell we know no good can come from it. Everyone on board seems to be running away from something and as the ship gets closer to its final stop, tensions arise and the political and social unrest that came aboard with them erupts with life changing consequences. Think I've just read a different book to that described in the title and blurb, not to mention the dozens of enthralled 4 and 5 star reviews. Penned by a thriller writer using a pseudonym, it's set on board a passenger ship travelling for five weeks between England and Australia just as WWII is brewing across Europe, and I believed it to be a glamorous murder mystery with cocktails, black-tie balls, scandals, secrets, class divides and exotic stop-offs at the Egyptian Pyramids and other sun drenc Think I've just read a different book to that described in the title and blurb, not to mention the dozens of enthralled 4 and 5 star reviews. Penned by a thriller writer using a pseudonym, it's set on board a passenger ship travelling for five weeks between England and Australia just as WWII is brewing across Europe, and I believed it to be a glamorous murder mystery with cocktails, black-tie balls, scandals, secrets, class divides and exotic stop-offs at the Egyptian Pyramids and other sun drenched locations. It begins with a very well dressed woman being led off the ship under arrest following the deaths of two people, and then goes back to the start of the voyage where rich and poor alike are waving their goodbyes. So what happened next? Well, nothing. We had the ship and the travellers, the hints and the reveals, but nothing actually happened. It started off really well and I enjoyed meeting all the characters, wondering whose dastardly secret would set off a vibrant 1930s whodunnit. The scene was set, and I waited for the first person to be bumped off..and waited..and waited. The passengers ate, talked, danced, played cards, explored and generally meandered along, but as to the murder mystery, nothing. Putting the lack of mystery to one side, the story itself - which began with so much promise - lost my attention around the half way point, becoming a repetitive day-to-day diary entry of the journey with little plot progression or character development; my initial interest in many of the passengers and their backstories soon waned, and any inkling of past indiscretions - bar one - petered out to nothing. I think that A Dangerous Crossing is the kind of book that just not completely works for me. I prefer reading thrillers rather than drama when it comes to a book. And, this book contained way too much drama for my taste. I did spend much of the time waiting for someone to die so that something would happen beside reading about Lily's interactions with the rest of the passengers. And, one of the biggest problems I had were that I grew sick and tired of Eliza Campbell, she is the kind of bombastic I think that A Dangerous Crossing is the kind of book that just not completely works for me. I prefer reading thrillers rather than drama when it comes to a book. And, this book contained way too much drama for my taste. I did spend much of the time waiting for someone to die so that something would happen beside reading about Lily's interactions with the rest of the passengers. And, one of the biggest problems I had were that I grew sick and tired of Eliza Campbell, she is the kind of bombastic character that in the end is just too much. Always showing up and dominating everyone around her. it just got to be too much for me. Now this book is not all bad, I enjoyed reading about the trip to Australia with its stop along the way. Unfortunately, Lily is just the kind of meek character that I have a hard time connect to. I would have preferred a more independent and head-strong woman to read about. Not in the pompous Eliza kind of way of course, but a woman with a mind of her own. However, the ending I have to admit was both surprising and good. I did know that the passengers had secrets, but I did not expect it would end as it did. And, I loved the end chapter, with a look at what happened next for the passengers onboard the ship. A Dangerous Crossing was my First Book of the Year 2017, a book that I was especially looking forward to due to the fact I’d won a charity auction run on behalf of CLIC Sargent to win my name in a book, and this was the one! Rachel Rhys has penned her first historical fiction novel, although you may have met her penmanship under the name Tammy Cohen where she’s written a mixture of contemporary and psychological fiction. The book opens with a scene from the end of the journey from Tilbury docks t A Dangerous Crossing was my First Book of the Year 2017, a book that I was especially looking forward to due to the fact I’d won a charity auction run on behalf of CLIC Sargent to win my name in a book, and this was the one! Rachel Rhys has penned her first historical fiction novel, although you may have met her penmanship under the name Tammy Cohen where she’s written a mixture of contemporary and psychological fiction. The book opens with a scene from the end of the journey from Tilbury docks to Australia with a dockside arrest, a scene that stuck in my head as the trip took us on a magnificent journey across high seas with the occasional stop in some far flung land. For Lilian Shepard has left her family following a disappointment in love to be a domestic servant in Australia, she is going to see the world and has grabbed the chance of an assisted passage to do so. Despite the confined nature, albeit on a fairly large liner, the Orontes, Lily learns more about life during the journey than she could ever have expected. The year is 1939, the month is August and the rumours that the Germans are going to precipitate a war are getting harder to ignore. Lily’s father, who has been mute since the First World War is worried and now her adored brother may be in danger. Lily has decided to write a diary of her passage across the world, so that she doesn’t forget anything, but given the characters she is about to spend five weeks of her life with, that seems unlikely. Rachel Rhys paints a brilliant picture of life on this ocean liner so that I felt that I was completely transported. Ask me; I can describe the hot laundry where the guests wash and dry their clothes, the small cabin that Lily shares with Ida and Audrey, two fellow assisted travel passengers, the deck where they walk to work of the huge amount of food they are served to break up the boredom and the first class cocktail bar where Lily joins Max and Eliza Campbell for games of cards and gossip. Life on the ocean liner is nothing like anything Lily has experienced before. Max and Eliza are huge characters but despite muttered warnings Lily is drawn to them like a moth to a flame, the question is, will she get burnt? At the other end of the scale there are the Jews fleeing the life they have known, wearing the only clothes they own on board and unsurprisingly, given the point in history; a minority of passengers who have sympathy with the Nazi’s views on them. On a closed environment, a somewhat combustible mix of characters, all bought brilliantly to life by the clothes they wear, their chatter over dinner along with how they chose to spend all their time while their new home, and life, inches closer. I loved every minute of the journey especially the observations Lily makes as she chats with her dining companions, the snippets of information that are revealed along the way of the main cast of characters means that it is apparent that no-one is quite what they first appeared to be. Everyone has secrets that they would prefer had been firmly left behind with their family and friends when they stepped up the gangplank to begin their journey for a new life. This is truly one of those books to get immersed in, the glamour of the first class passengers, the uncertainty of the time, the snapshots of the countries they visit from Gibraltar to Egypt along the way provide a backdrop to the pitch-perfect atmospheric story, so expertly told. This review may seem biased, I make no apology, it is, but I am sure that even if you haven’t been lucky enough to have a cameo role (look out for Cleopatra Bannister who appears in the last section) there is so very much to enjoy, as this story rolls along with the waves it rides on. It is the end of July, 1949, when a passenger ship sets out from Tilbury Docks, Essex and begins a five week voyage to Australia. Along the way they will stop several times and take on further passengers, but our central characters embark in England. They include Lilian Shepherd, who is taking an assisted passage to Australia, where she intends to go back into service. She shares her cabin with Audrey and Ida, who both worked as chamber maids and are also taking advantage of the assisted passage It is the end of July, 1949, when a passenger ship sets out from Tilbury Docks, Essex and begins a five week voyage to Australia. Along the way they will stop several times and take on further passengers, but our central characters embark in England. They include Lilian Shepherd, who is taking an assisted passage to Australia, where she intends to go back into service. She shares her cabin with Audrey and Ida, who both worked as chamber maids and are also taking advantage of the assisted passage scheme. It is not long before we realise that Lilian is not only leaving England for adventure, but she is running away from events that she does not like to even think about. She is not the only person on board who have secrets though. Her table companions include siblings Edward and Helena Fletcher, as well as the aggressive and volatile George Price. She also befriends a young Jewish woman, Maria Katz, who has fled Europe and, indeed, rumours of war abound. This is a difficult book to place and I think I would label it, if that is necessary, as a literary mystery. I love Golden Age fiction and, if you do as well, then you will probably like this. It is a gentle read, with a mystery at its heart; but is much more concerned with characters than crime. I believe this is a debut and I would certainly like to read more by Rachel Rhys. Welcome aboard The Orontes for a fun filled, glamorous crossing to Australia! Or so it first seems to Lily Shepherd who is taking advantage of the assisted passage scheme to start a new life in Australia. Life on board is a huge adventure for Lily as her eyes are opened to new things and she meets lots of interesting people, including the colourful Campbell's, mysterious Edward and opinionated George. However as the journey continues boredom and tension start to bubble to the surface, Lily realises the journey isn't as idyllic as she first thought. Soon Lily discovers that its hard to really know people you've just met, especially when they don't have to tell you everything about themselves. A Dangerous Crossing is one of those books that is perfect to emerse yourself in. I simultaneously wanted to read more to find out what happens and to slow down so it never ended! The descriptions of life on board are really vivid and makes you feel that you are experiencing all the glitz and glamour alongside Lilly and watching all the action unfold. This is especially true of the wonderful descriptions of the ports they visit along the way and that I now have a yearning to visit. I felt I was there experiencing all the hustle and bustle and seeing the fantastic sights. There is always underlying tension to the story which makes you want to keep reading to find out what happens. As the reader slowly gets to know the characters, it becomes apparent that they all have secrets to hide and are running away from something. As the outside heat increases and boredom sets in the tensions between the passengers becomes more apparent and start affecting the relationships on board. The characters are all vastly different from each other which makes for a very compelling read. It was fascinating to read about their interactions with each other especially as ordinarily they wouldn't have socialised with together as they were from very different classes. Some of Lilly's interactions, especially with the Campbell's and George had me holding my breath as I wondered what was going to happen. There is a little bit of murder mystery in it but in my opinion this is a secondary storyline, albeit one that is the reason for an amazing ending which took me completely by surprise. It's not a traditional who dunnit and the fact that there us a murder isn't a surprise as we know that from the start. It's the story about getting to the murder and the reasons behind it which helps make this such a good book. I would recommend this book to anyone who lines historical fiction that takes you to another time or place. I have been thinking about what to write about Rachel Rhys' Dangerous Crossing for almost a week. This is a difficult book to really rate and write about as it's a bit confused about what it is; and yet I enjoyed the majority of what I read. So it's not that the book is bad but it's not a 4 or 5 star read either. My largest complaint is that the plot isn't really a plot. Our lead gal gets on a cruise ship headed from England to Australia in 1939. Of course the world is just entering I have been thinking about what to write about Rachel Rhys' Dangerous Crossing for almost a week. This is a difficult book to really rate and write about as it's a bit confused about what it is; and yet I enjoyed the majority of what I read. So it's not that the book is bad but it's not a 4 or 5 star read either. My largest complaint is that the plot isn't really a plot. Our lead gal gets on a cruise ship headed from England to Australia in 1939. Of course the world is just entering into WWII and things are starting to fall apart in Europe. It's interesting to think about a boat with all different nationalities, including some Jews already fleeing the Nazis, just before England declares all out war. This is explored in a very intriguing way as we being to realize that there are 'enemies' on board if war is declared and that some on the boat are definitely in line with Hitler and his regime policy of pushing the Jews. While there are mysterious and odd things happening on the cruise ship, some first class folks who 'slum' with tourist class, and every character is beautifully written and developed (back stories and all), I still never really felt like there was a plot. Unless plot can be a cruise ship going from one location to the next while the world is in turmoil? My plot issues only compound once I get to the last few chapters and realize that what I thought was going on is not at all what was happening. It's not that the ending is coincidental or unrealistic; it's more that it came a little out of nowhere for me. Interestingly the events on the cruise are derived from true stories on that same cruise ship over a few years during WWII. So while Rhys has moved a few timelines for minor events on the ship and changed many of our main characters; everything she writes is based on fact (as explained at the end of the book). This is a decent piece of historical fiction that gives insight into what it would have been like to be just on the outskirts of WWII. To be waiting for any country to declare war; hopeful that it might be avoided. I think Rhys creates the kind of awkward suspense that is appropriate for all our characters. And she certainly creates a few well written villains to help tell the story to remind us all that while most were against the Nazi's policies; not everyone was. There are some really disturbing (at least to me) moments in Dangerous Crossing where I realized that the tension in our world today, that US President Donald Trump has created, could easily be the opening steps to a larger conflict; just like what is inevitable in 1939. Between controversial conversations that divide people who would otherwise have a potential to be friends and average people showing their 'true colors' as villians; any one of the people on the ship could be someone today. Additionally, some people saying that the stories of persecution against the Jews in German couldn't possibly be true. Yet we all have the knowledge that nothing was exaggerated by anyone. It really was that horrific and dangerous to be a Jew in 1939. So, if you replace Jew with Muslim, Hitler with Trump and German with United States you could almost be reading a story of today. Whether Rhys did this on purpose, or it's just a case of history repeating itself, I'm not sure. What I do know is that Dangerous Crossing is a good reminder to us that you can get caught up in politics and choose sides that will eventually turn into murder and war. This was an amazing book. I found it hard to put down at times. Lily Shepherd is the main protagonist, who has signed up for a voyage to Australia. She receives her passage as part of a contract, that has job opportunities as a servant, when she arrives. You meet her family briefly at the beginning, as they are at the dock, to say goodbye. On the voyage are the supporting characters, with all their strengths and weaknesses. Maria is a Jewish woman fleeing from Austria, and horrors of Hitler's gen This was an amazing book. I found it hard to put down at times. On the voyage are the supporting characters, with all their strengths and weaknesses. Maria is a Jewish woman fleeing from Austria, and horrors of Hitler's genocide. The two Lily becomes the closest too are Edward and his sister Henrietta. Lily hopes for love with Edward, but their are secrets that she is not aware of, hiding in their past. The two characters I hated was Max and Eliza Cambridge, they have a truly self-destructive relationship. Another characters that were definitely detestable was Ida, who is so full of bitterness, that she push away those around her. Since the new year I’ve been branching out and reading genres that I normally haven’t paid attention to in the past, and historical fiction is one that I mostly ignored. I’m ashamed of that now as I’m beginning to realize I was truly missing out and it’s safe to say that I’m now a certified fan of the genre! There is something mesmerizing about being transported not only to a different place, but also a different era. A Dangerous Crossing swept me away to 1939 with a young English woman named Lily as she embarks on a long journey to Australia to begin a new chapter in her life. Rhys was inspired to write this when she discovered an old diary written by a woman who had a similar journey to her main character, Lily. Though this is a fictional account, it’s loosely based on real events which is all the more captivating to me. It opens with one of those intriguing prologues where you know there has been a murder, then you are whisked back a few weeks prior where you learn about the events that lead to such tragedy. Lily is heading to Australia to work as the government is allowing young women to travel at a discounted rate in order to obtain jobs once there. She quickly meets a rather broad, lively bunch of people, many of whom she would not ever cross paths with in her everyday life. There is Helena and her brother Edward, Eliza and her husband Max, and George a man traveling alone. Eliza and Max are especially eccentric and glamorous and the allure of hanging around with such sophisticated people intoxicates Lily. But everyone seems to be running from something in their past, and the entire group is shrouded in mystery. Set in 1939, not long before the outbreak of the second World War, ‘A Dangerous Crossing’ follows young Lily Shepherd as leaves her much loved family and a past she would rather forget behind her to sail towards a new life in Australia. She is travelling on a cruise liner, the ‘Orontes’, thanks to an assisted passage scheme, paid for by the Government to encourage people to settle in Australia. Lily had been a domestic servant, and she had been told that when that when she reached Sydney she woul Set in 1939, not long before the outbreak of the second World War, ‘A Dangerous Crossing’ follows young Lily Shepherd as leaves her much loved family and a past she would rather forget behind her to sail towards a new life in Australia. She is travelling on a cruise liner, the ‘Orontes’, thanks to an assisted passage scheme, paid for by the Government to encourage people to settle in Australia. Lily had been a domestic servant, and she had been told that when that when she reached Sydney she would have no trouble finding a good job, as good servants were in short supply and valued very highly indeed. This story of Lily’s month long-voyage is a lovely period piece and a fascinating travelogue; threaded with mystery and intrigue. She travels in tourist class with other young women who are travelling for similar reasons, under the watchful eye of a chaperone; but Lily finds herself mixing with a much wider social circle in the dining room. She forms a friendship the quiet and charming Edward Fletcher and his protective elder sister, Helena; and she is captivated by a rich, glamorous, hedonistic couple – Max and Eliza Campbell – who come down from first class because they feel unwelcome there. Less happily, Lily catches they eye of the loud and fascist George; and her cabin-mate Ida, a terribly intense young woman looks on disapprovingly. At sea, with only brief stops on land along the way, the passengers have little idea what is happening back at home. They know that with Germany could be close; some hope for the best but many fear the worst. There are Jewish refugees and a large group of Italians on board; some – and most vociferously, George – regard those people as the enemy. Lily befriends a young Jewish woman, who shares her fears for the family she had to leave behind, and tells Lily of some of the terrible things that are already happening in Europe. Not everyone who sailed from England will survive the voyage. I was hooked from the first page to the last. The first chapter told me that someone had been arrested and led from the ship in handcuffs when it docked in Sydney, and I had to keep reading to find out why and to find out who it was, but I found many more reasons like that to keep turning the pages. ‘A Dangerous Crossing’ is a wonderful character study of people with very different backgrounds, who would not usually mix, but were drawn together in the close confines of the ship. It a self-contained world, where, for the five weeks of the voyage, the usual rules did not apply. Rachel Rhys evokes the period, and a world on the brink of change, quite beautifully. Life aboard ship – the daily routine and social events – is so vividly drawn, and the accounts of excursions to places like Gibraltar, Naples, Egypt, Yemen and Ceylon felt so real that I really felt I was there, travelling right across the world. I was travelling with people I knew, but people that I knew had secrets. Lily was a wonderful companion, Eliza and Max were an extraordinary couple, and Edward and Helena were intriguing. As the voyage continued I learned more and more about them all; and I realised that they all had such depth and complexity. Some of that revelations made my heart lift and some of them made my heart fall. Some of them I foresaw, and some of them came as complete surprises. The final twist, that led to the walk in handcuffs in the first chapter, was the most remarkable of all. Rachel Rhys deployed he cast of characters very effectively, she gave her story many different aspects of her story, she caught the changing times beautifully, and she wove her plot very cleverly. I felt so wonderfully close to it all. I’d call this book commercial fiction done very well. There were times when I would have liked a little more subtlety, and I thought that the epilogue was more elaborate than it needed to be; but the book as a whole works. After this great prologue that hints at much but tells us nothing that will spoil the story, we are whisked back to the beginning of the voyage. Lily Shepherd has left her home in England to go to work in Australia as a domestic servant. She's trying to escape from the memory of something bad that happened, though at first the reader doesn't know what this is, other than that it involved a man she had been in love with. She is on an assisted passage organised by the Church of England along with six other young women, all chaperoned by an older woman employed by the Church. Lily meets the two girls with whom she'll be sharing a cabin, and then later is introduced to the other passengers who have been placed at the same table with her in the dining room for the duration of the voyage. They're a varied group, all of different classes and backgrounds – people whose paths wouldn't cross socially in the normal course of things. But thrust into the sudden intimacy of having to live and eat together, barriers break down and unlikely friendships are quickly formed. Isolated from both past and future in this bubble, Lily soon finds that life on board becomes all-consuming, and begins to forget that when they arrive at journey's end, all the passengers will revert to their own class and concerns, and that, as a domestic servant, she will be beneath the notice of most of them. Rachel Rhys also writes psychological thrillers as Tammy Cohen, and I've had a mixed reaction to her in the past, partly because of my weariness with that genre. I much prefer her in this incarnation – although there is a crime here, this is more historical fiction in style. Her writing and characterisation are excellent, and she brings the claustrophobic atmosphere of forced intimacy aboard the ship brilliantly to life. When the voyage begins, the spectre of war is hanging over Europe but there is still hope that Germany might pull back from the brink. Rhys works this uncertainty through the plot, with some eager for war and some running from it. There are Jewish passengers aboard, fleeing from their homes to escape Nazi persecution, and we see the various reactions to them from sympathy to outright anti-Semitism. But the main story is personal rather than political, as Lily gradually discovers that she's not the only passenger who is trying to leave the past behind. The story is told in the third person, but as secrets are revealed, we see it all from Lily's rather naive perspective. She is a level-headed, intelligent young woman though from a fairly sheltered background, and Rhys manages the tricky task of making her likeable and empathetic, while allowing the reader to see her flaws and weaknesses. The various on-board relationships take on an intensity in the confined setting, and soon little resentments become magnified until these sudden friendships begin to crack under the strain. Truthfully, I'd kinda guessed the big secret fairly early on but it didn't matter – Rhys still managed to create a real atmosphere of tension and apprehension as she led the way to the shocking climax. Overall, an excellent book with strong characterisation, a great sense of place and time, an intriguing plot and a dramatic but credible denouement. I'll be looking out for more from Rachel Rhys in the future. NB This book was provided for review by the publisher, Random House Transworld via Amazon Vine. Full review to follow nearer the time but keep an eye out for this one! It's a cruise from England to Australia with stops in France, Gibraltar, Naples, Egypt, Yemen and more before you even get to the final destination. And it's in Australia where the book opens - where something bad has happened. The rest of the novel is the build up to the passengers disembarking from that infamous journey. Ah the places you will go as you sail the open seas and leave a trail of devastation in your wake. The f Full review to follow nearer the time but keep an eye out for this one! It's a cruise from England to Australia with stops in France, Gibraltar, Naples, Egypt, Yemen and more before you even get to the final destination. And it's in Australia where the book opens - where something bad has happened. The rest of the novel is the build up to the passengers disembarking from that infamous journey. Ah the places you will go as you sail the open seas and leave a trail of devastation in your wake. The fun you will have people watching and spotting undercurrents galore. It’s 1939 and Europe is on the brink of world war. When young Lilly is offered the chance to escape her surroundings and work as a ladies maid in Australia, all expenses paid, she goes for it. This book is the tale of her experiences along the journey - in fact, it was the setting that inspired me to choose this book in the first place. Although Lilly appears on almost every page, her character is underdeveloped. I grasped she was young and somewhat naive but her thoughts and actions lacked some It’s 1939 and Europe is on the brink of world war. When young Lilly is offered the chance to escape her surroundings and work as a ladies maid in Australia, all expenses paid, she goes for it. This book is the tale of her experiences along the journey - in fact, it was the setting that inspired me to choose this book in the first place. Although Lilly appears on almost every page, her character is underdeveloped. I grasped she was young and somewhat naive but her thoughts and actions lacked some depth. This wasn’t necessarily a bad thing as there are several supporting characters in which to balance this out. Said other characters are a mix of rich and not so rich, but none of them are particularly enthralling. As soon as I felt the story was headed in a certain direction it either fizzled out or turned 180 degrees. The climax of the book is the most interesting part, although this comes very late in the book and ends too abruptly. I’m not sure the author truly captured the essence of the era in her writing, instead resorting to cliche. 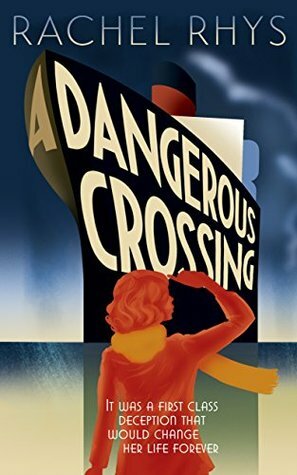 The charming cover of Dangerous Crossing is enough to make me want to pick it up. The era in which it is set, just pre-war 1939 always fascinates me and the endless possibilities that could arise on board a cruise to Australia sealed the deal. This is not a book to be read quickly, it is fairly complex with a large cast of characters who all draw you into their lives. Lily is travelling on the Orontes as part of the Government’s assisted-passage scheme to Australia. Her plan is to seek employment The charming cover of Dangerous Crossing is enough to make me want to pick it up. The era in which it is set, just pre-war 1939 always fascinates me and the endless possibilities that could arise on board a cruise to Australia sealed the deal. This is not a book to be read quickly, it is fairly complex with a large cast of characters who all draw you into their lives. Lily is travelling on the Orontes as part of the Government’s assisted-passage scheme to Australia. Her plan is to seek employment in a large house when she arrives. She is sharing a cabin with two lowly chambermaids, and they don’t always get on. Lily soon finds herself mixing with the higher ‘class’ glamorous Eliza, surely her intentions can’t be innocent? In a time where ‘class’ was so divided having somebody lend designer, expensive clothing would ring a few bells. She also befriends a brother and sister who seem rather secretive which piques Lily’s curiosity about Edward. This is an atmospheric book, slow burn tension which I would call a mystery not thriller. The journey allows for some wonderful descriptions of the scenery and ports of call. Each person has something they are hiding or running from so the reader is left to untangle the web. Just imagine the thrills of romance, murder, secrets and lies all taking place in the middle of the sea where you can’t escape! I liked Lily, she desperately wanted to travel but the realities of being homesick as well as seasick and then getting caught up in all kinds of random actions from a bunch of strangers tested her emotions and maturity. Take the time to savour this novel, enjoy the moment, go back in time and immerse yourself into a very different world from today. It reminded me a lot of Agatha Christie. This historical crime novel (by Tammy Cohen under a pen name) is different than I anticipated from the blurb and at the start. The book opens at the end of the voyage with a passenger (we don't know who it is) taken into custody, and then takes us back to the beginning and through the five-week journey. The killings don't occur until toward the end; it's the characters who propel the story forward. They're one-dimensional but deceptive, with more skeletons in the closet than ballgowns. The story i This historical crime novel (by Tammy Cohen under a pen name) is different than I anticipated from the blurb and at the start. The story is well paced and scarves ties up neatly, but the writing is clumsy when it comes to sensitive issues. I was absorbed when not pulled out of the experience by that—and by contradictions (like existential-thinker Lily being a speck, then being almighty) and the same descriptions in different scenes (gulls, lozenge, scapulae...). Women seeking an escape read that's set in 1939 but relevant today (#metoo) might enjoy it in spite of its flaws. Don't come to this expecting a full-blooded murder mystery or romance as you might well be disappointed: instead this is a slow evocation of a 5-week passage from Tilbury docks to Australia in August 1939. The story is focalised via Lily, a young woman who goes to Australia on an assisted passage encouraging immigration, and on arrival she is to take household service. The ship passage becomes a liminal space in which she experiences a world of wealth, of privilege, but also a space in which she meets people like Austrian Jewish Maria and Italians fleeing from Hitler and Mussolini. In some ways the ship becomes a microcosm of a certain type of society which doesn't wholly survive WW2: the geographies of first class, tourist class and steerage reflect social divisions which are, perhaps unrealistically in the case of Lily, breached during the crossing. She finds herself rubbing shoulders with the wealthy Max and Eliza Campbell, 'careless people' very similar to Daisy and Tom from The Great Gatsby, as well as Helena and Edward, a brother and sister who keep their past obscure. She tries to avoid George who openly supports Hitler and expounds his unpleasant racist views of the world (while not appearing to be hung up on social class which we might expect: his father is a high-up colonial administrator). The movements of the novel are slow: Lily finds out that people are not who and what they seem, she learns some life-lessons and grows up to some extent, and there's a dramatic killing at the end... In between we have lots of social observation though somehow this fails to capture a sense of historical time - this frequently feels much more modern than 1939 for all the talk of war and Jewish refugees. Rhys writes well in general but overdoses on similes on every page: they are apposite but their frequency means that descriptions are often done twice, once literal, once figurative, and they just bog down the narrative and become wearying: 'the door opens and Audrey bursts in, seemingly unaware of the tension looming over the tiny cabin like a spider over its prey' - the last six words are just redundant padding, add nothing to our understanding of the scene. A more disciplined editing process would have cut the book down from its 366pp. and tautened it up. So a slow book which I enjoyed nevertheless: not a page-turner and definitely more about the journey than the destination. I have never fancied the idea of a cruise – all those different people compelled into forced intimacy for the duration of the journey – and this novel certainly did nothing to persuade me otherwise. In Dangerous Crossing, Rachel Rhys, alter ego of Tammy Cohen, an established thriller writer, makes her debut into historical fiction and a good job she makes of it too. Rhys tells us that this novel was inspired by the real-life story of a young girl who made the journey between London and Sydney with the help of the assisted passage scheme, which enabled working class girls to emigrate to work as domestic servants in Australia. Lily is running from some dark events in her past that are only gradually revealed as the novel progresses, but she soon discovers that she is not the only passenger on board who has secrets to hide. Lily is in tourist class with other young women who are also destined for domestic service, but on board the liner, the usual social rules don’t apply and she makes friends with a charming brother and sister, Edward and Helena Fletcher, and soon falls for the gentle Edward. More reluctantly, she often finds herself in the company of upper class and dangerous Max and Eliza Campbell, whose glittering appearance hides their unsavoury past. Lily also befriends Maria Katz, a Jewish woman fleeing from Nazi-annexed Austria and seeks to avoid the gruesome George Price, a fascist and bully, who unfortunately takes a fancy to Lily. With such a potent mix of people unpleasant things occur during the voyage and by the time the Orontes docks in Sydney two passengers have died and the world is at war. Rhys’ real skill here is in creating a vivid and extremely uncomfortable atmosphere. We see life on the liner through Lily’s eyes and share her growing feeling of unease, as she gradually discovers some of the hidden facts about her co-passengers. Rhys, by setting the story in 1939, also manufactures a real sense of doom. Dangerous Crossing begins with an arrest of an unnamed woman for an unspecified crime during the voyage and the story leads us back to that point, but be prepared for a really clever twist in the tale. Isn’t it brilliant when you genuinely don’t see something coming? This novel is a drama suspense of which I thoroughly enjoyed. With beautiful, languid story-telling, I was completely absorbed into the world of Lily Shepherd, on passage aboard the liner, Orontes, to a new adventure to Australia. Lily, herself 'tourist class', is somewhat caught in the middle of a class war on board. She is given a glimpse into the world of First Class by the scandalous and morally outcast socialites, The Campbells, whilst also learning passengers may sit on the same class l This novel is a drama suspense of which I thoroughly enjoyed. With beautiful, languid story-telling, I was completely absorbed into the world of Lily Shepherd, on passage aboard the liner, Orontes, to a new adventure to Australia. Lily, herself 'tourist class', is somewhat caught in the middle of a class war on board. She is given a glimpse into the world of First Class by the scandalous and morally outcast socialites, The Campbells, whilst also learning passengers may sit on the same class level aboard the great ship are not all seen as equals. Add to this the tumulus background rumbling of a World War on the brink of an imminent break out, the ground on which these characters find themselves are truly unsteady waters. Lily is somewhat naïve to the world and you find yourself loving her for it, it makes her an honest narrator, if not always reliable given her limited knowledge of the world. This novel is about so many things but what stood out for me was the personal journey of Lily who grows and has her eyes opened to the harsh realities of the world more in three weeks than she has her entire life. Lily is more than a likable character, she is lovable. I found myself wanting to protect her from the harsh reality of life. She is still so childish in many ways which only goes to highlight the complex lives of the other people on board. If only they had lived such a sheltered life as Lily, maybe they would be better for it. Although we learn Lily is running and mourning her own drama, compared to the others it seems so innocent. Lily is truly like a central orb in this novel from which everyone rotates, all wanting and needing her for their own selfish gain. However, Lily is not as weak as she may exude, after all she has chosen and made happen this adventure many would only dream about. At the end of the book the author notes mention the novel is inspired by the real life diary of a young female passenger who really did embark on a personal journey to Australia and the novel is richer for it. Beautiful vivid imagery combined with a powerful plot and complex yet likeable characters make this book a compelling read. Rachel Rhys is the pen-name of a successful psychological suspense author. A Dangerous Crossing is her debut novel under this name. The story is inspired by a real diary which the author discovered by accident while helping her mother move house. It was written with care and attention by a servant girl who travelled from England to Australia on a cruise liner in the late 1930s. Rachel Rhys lives in Rachel Rhys is the pen-name of a successful psychological suspense author. A Dangerous Crossing is her debut novel under this name. The story is inspired by a real diary which the author discovered by accident while helping her mother move house. It was written with care and attention by a servant girl who travelled from England to Australia on a cruise liner in the late 1930s.